The summer is far from over in Brainerd, MN, with loads of fun activities for couples, groups of friends or families. From music festivals and karaoke to campfires and drag racing, the Brainerd Lakes area offers a little something for everyone this summer. August 6 – Romantica – an Irish American folk-rock band. August 13 – Church of Cash – the music of Johnny Cash and singer Jay Ernest’s deep baritone voice. August 20 – Southside Aces – classic hot New Orleans jazz. September 3 – Decade 7 – playing music created after Woodstock and before MTV. 2. Did you know that Pequot Lakes is the “Official Chokecherry Capital of Minnesota”? 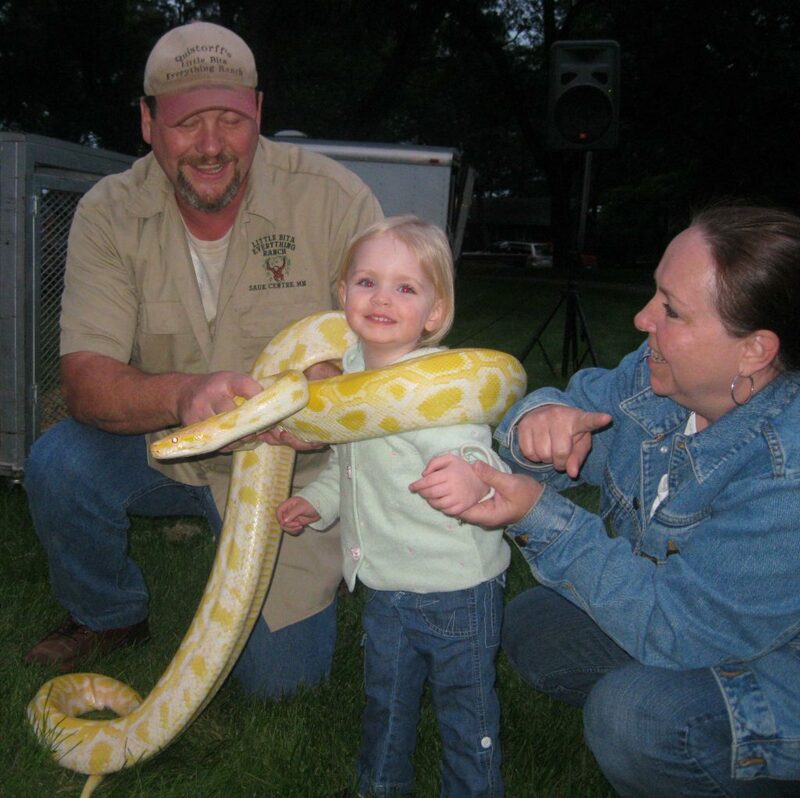 The 9th Annual Chokecherry Festival in Pequot Lakes happens on Saturday, August 13 – all day! Most activities take place at Trailside Park including the 6th Annual Purple Elephant Run/Walk to celebrate the life of Dru Sjodin, a Kids Arcade, Arts Festival, pit-spitting contest, chokecherry cooking contest and some amazing food vendors. Bring the family for a day of fun! 3. The Upper Midwest’s Premier Bluegrass Event, the Lakes Bluegrass Festival is celebrating its 11th year August 24-28 in Pine River, MN. This festival features the best in national touring and Minnesota bluegrass bands along with professional Emcees, a top notch sound system, a beautiful stage and a big tent for shade and rain protection (bring your own lawn chairs). Stroll the grounds and listen to the impromptu jam sessions, sample the tasty food at one of the food vendors, take a short walk into the friendly town of Pine River or just relax and visit with friends. 4. Brainerd International Raceway is home to the National Hot Rod Association Lucas Oil Nationals (August 18-21) and is offering a new event this year. The weekend prior to Nationals, BIR will offer Thunder at the Lakes NHRA Divisional Racing, creating a 12-day NHRA Megaweek. Gates open August 11 for Megaweek campers and they stay open through August 22. Most of the drag racers who compete at Thunder at the Lakes also compete in the Sportsman class during the NHRA Nationals. Cherry Guns will provide live music Saturday night. 5. Brainerd Ski Loons – Waterski Show takes place Thursday, August 18 and Sunday, August 21 in Lum Park from 6:30-8:00 pm. There will be human pyramids, ski jumpers, barefooters, wakeboarders and skiers being pulled 360 degrees around the boat! 6. Lakes County Triathlon will take place on Sunday, August 28 in the Brainerd/Baxter area. The race begins with a 1/4 mile swim in Whipple Lake, then switches to a 14 mile bike ride through the rolling hills surrounding the Baxter/Brainerd Lakes area and ends with a very flat 3.2 mile run through a quiet residential area. The race is presented by the Kiwanis Club and proceeds go to supporting youth and community programming. 7. It’s off to the races every Wednesday throughout the summer with the Nisswa Turtle Races. Located in downtown Nisswa, the event takes place every Wednesday through August 17. Registration is at 1:00 pm and racing starts at 2:00. Races continue until they are done which could be anytime between 2:45 and 4:00 pm. Picking a fast turtle has been a secret for years. Each turtle is different but it always helps when you name your turtle. The fee is $4 per racer and you receive an official 2016 racing button and the use of a turtle. 8. Moonlight Movies are held on the South Beach near the Outdoor Pool from 9:00-10:30 pm. Bring a blanket or lawn chair, enjoy the movie, fellow Cragun’s guests and the call of the loons from the lake. 9. Join us in the Bear Trap Lounge for Karaoke and so much more fun. Children with their parents can join the fun until 10:00 pm. Maybe a family sing-a-long is just what you need to get those teenagers having a good time! 10. Every Sunday evening, after the Welcome Party, Royal Karels (fishing guide extraordinaire) shows you the hot spots on Gull Lake during his Fishing Clinic, as well as some great tips. With over 40 years of guiding experience you are sure to learn something new to take out on the lake with you. 11. 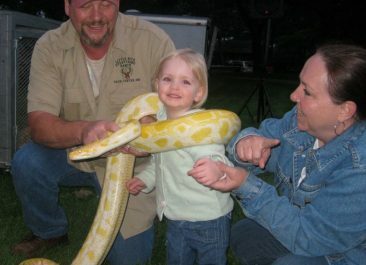 Your kids, and probably you, will be amazed at the animals you will get to experience during the Get Wild Animal Show. Snakes and lizards and monkeys, a bear? 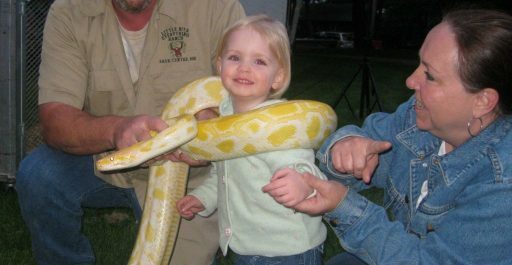 The Get Wild Animal show is held near the outdoor pool (weather permitting) or in Cragun’s Sports Centre. 12. What better way to wind down from a busy day at the lake than sitting around an evening campfire. Roast marshmallows, tell stories, enjoy the lake breezes – the perfect end to a perfect day! Check out Cragun’s entire activities calendar to discover dozens of other things to do this August.